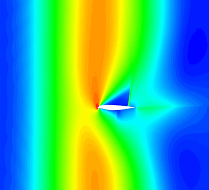 Knowledge of aircraft/gust interactions is vital for loads estimation during aircraft design. 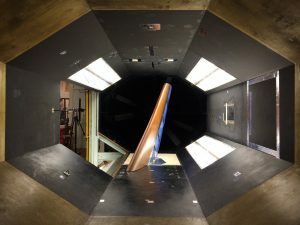 At present, industry typically use data from expensive wind tunnel experiments to correct simple methods, which means that gust loads come too late when design options have already been narrowed. By uniting academic, industrial and SME expertise from across the globe, AeroGust hopes to redefine this process – allowing design processes to evolve around a greater understanding of gusts which could change the shape of future aircraft design. In particular this would allow more flexible materials to be used, and novel future aircraft configurations to be considered, to meet environmental concerns and increased competition. The success of AeroGust will mean that the European aviation industry will be prepared for future challenges. Further benefit will come from the extension of this technology to wind turbine design, since the distribution of wind farms is restricted by the fact that wind shear and gusts create the largest loads on the turbines. Due to the simplicity of the current gust prediction methods large safety factors have to be used, which means the structures are uneconomic in many regions such as the Arctic Circle and the tropics.